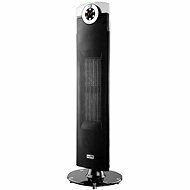 This SENCOR SFH 9014 ceramic heater boasts a modern design with LED display and touch controls. 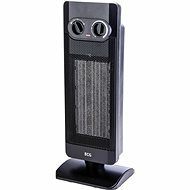 It uses the latest PTC heating elements for improved efficiency. With the maximum power input of 2000W, it will brighten the cold days and heat up your home to a comfortable temperature within a relatively short period of time. It allows you to set up an automatic shut down after 7.5hrs or rotation around its axis at an 80° angle. A remote control is included for convenience. To add safety, there is an automatic shut down feature if knocked over and an overheating protection. For shipping to other EU countries visit this page Sencor SFH 9012. Chcete doručit zboží do Česka? Prohlédněte si SENCOR SFH 9012. Chcete doručiť tovar na Slovensko? 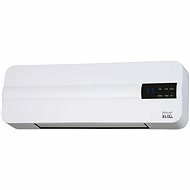 Prezrite si Sencor SFH 9012. Magyarországra történő kiszállításért tekintse meg ezt a termékoldalt: Sencor SFH 9012.